In this tutorial we'll show you how to create a trunk to allow incoming calls from Multitel. Please note that if your FreePBX is configured to accept Anonymous SIP calls, your incoming calls from Multitel will also work out of the box. This is not an the ideal configuration for your FreePBX system and may be opening up Pandora's box and allow for possible rogue traffic from other sources to terminate through your system. Therefore, we strongly suggest that you configure your system not to accept inbound Anonymous SIP calls and rather define all providers/customers that are sending you calls as "Trunks" in FreePBX. 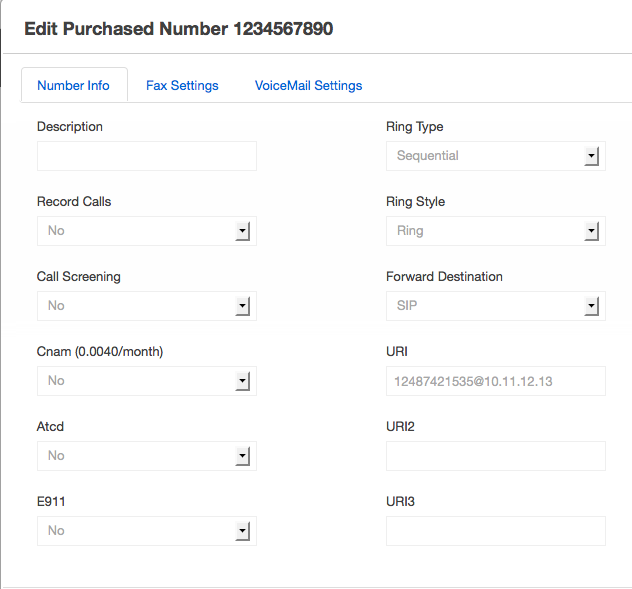 Go to the "Purchased Numbers" section in your account. On the list of numbers, click on the "Action" column, on the Edit icon. 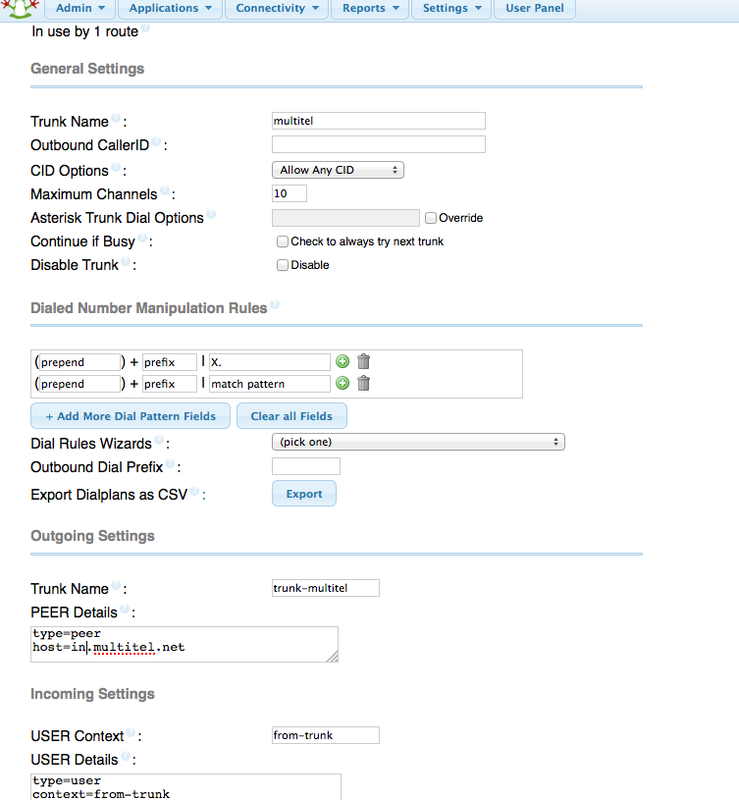 Configuring the inbound trunk in your FreePBX installation. Inbound routes - you need to set up an imcoming route to handle calls coming in from the trunk you have just defined. In the new window that will open, go ahead and add the new route. Set Destination - where should this number ring to? Select from the list You'll probably want it to go to Extensions, IVR or Conferences. Click "Submit" followed by the red "Apply config" button and enjoy!